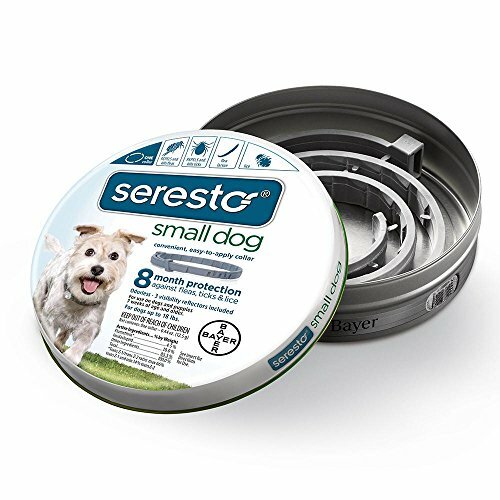 Kills and repels fleas and ticks for 8 continuous months in one easy-to-use, non-greasy, odorless collar. 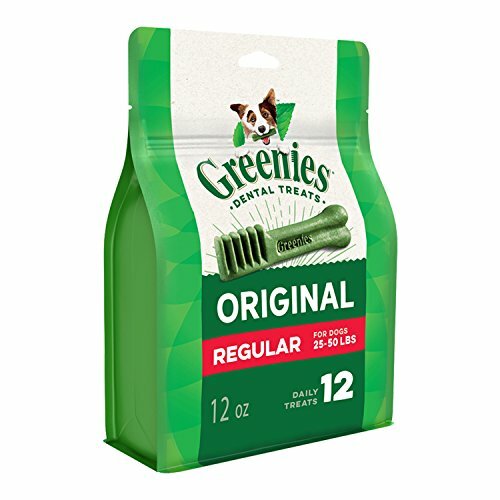 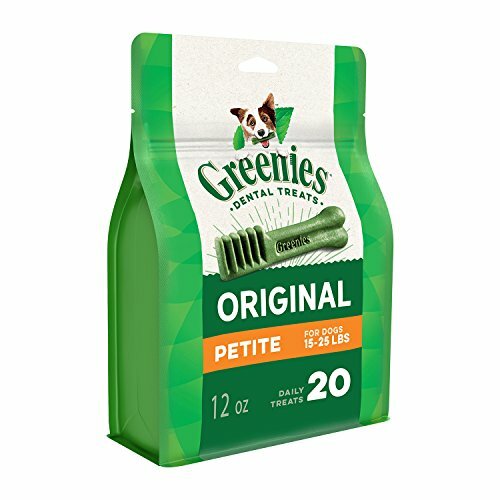 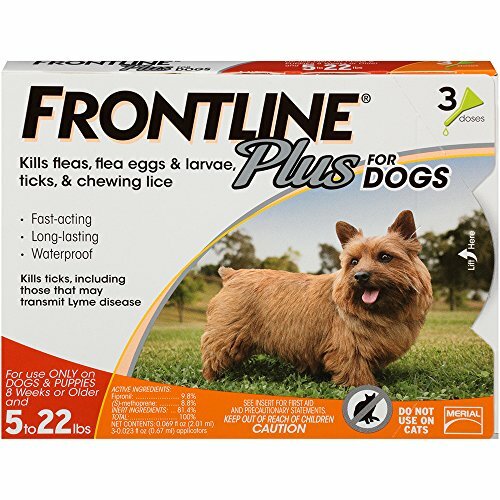 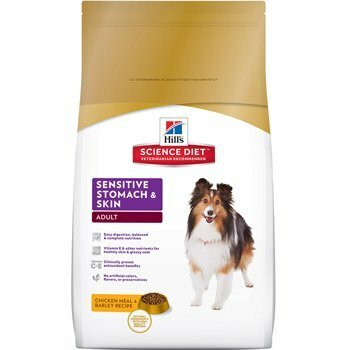 Quickly kills fleas within 24 hours of initial application. 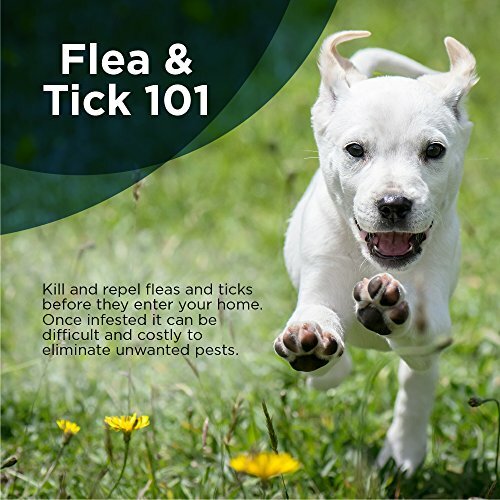 Reinfesting fleas are killed within 2 hours. 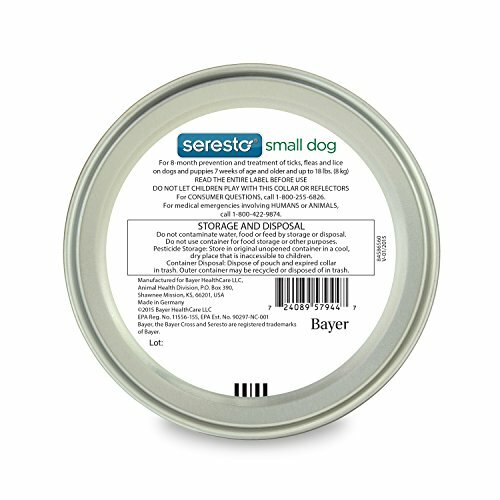 Prevents tick infestations within 48 hours after application. 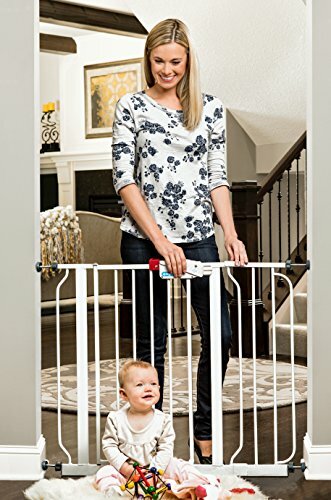 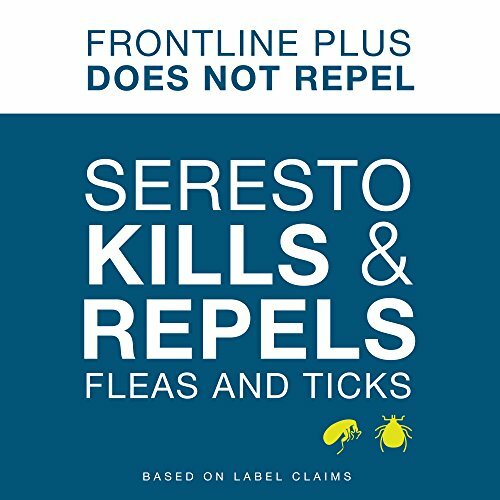 Kills and repels reinfesting ticks in as quickly as 6 hours. 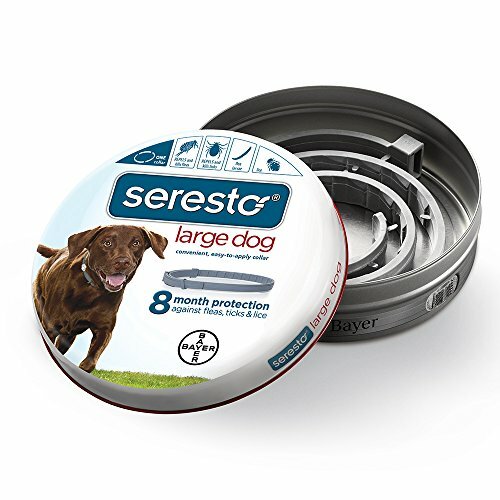 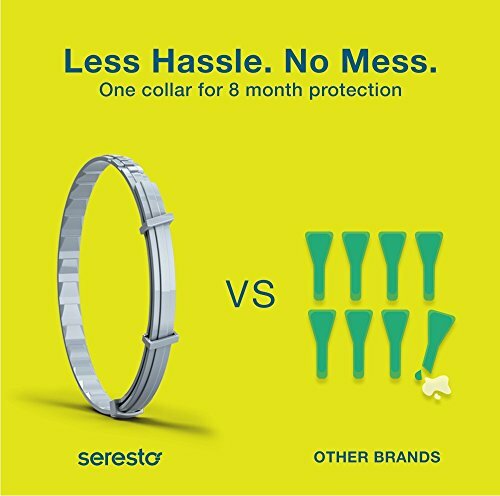 The Seresto collar is water-resistant* and remains effective following a shampoo treatment, swimming or after exposure to rain or sunlight. 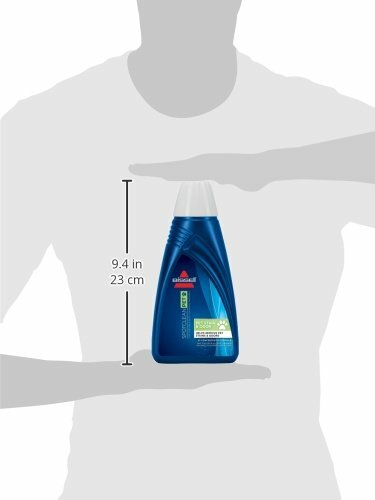 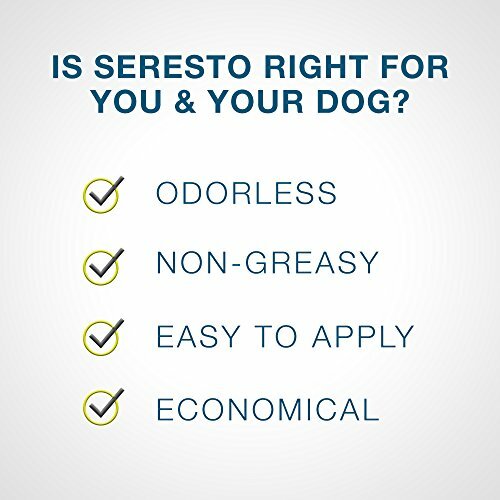 *Seresto is water-resistant and remains effective following a shampoo treatment, swimming or after exposure to rain or sunlight. 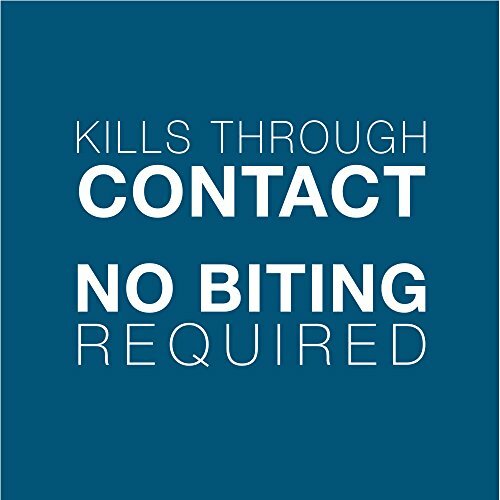 Under normal conditions, effectiveness lasts for 8 months. 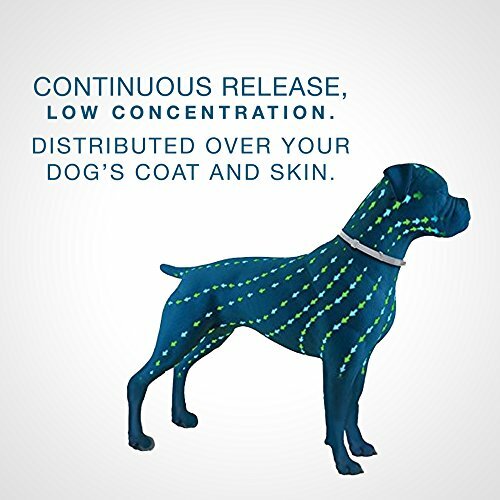 In order to maintain an eight-month duration, dogs must not be bathed more than once per month. 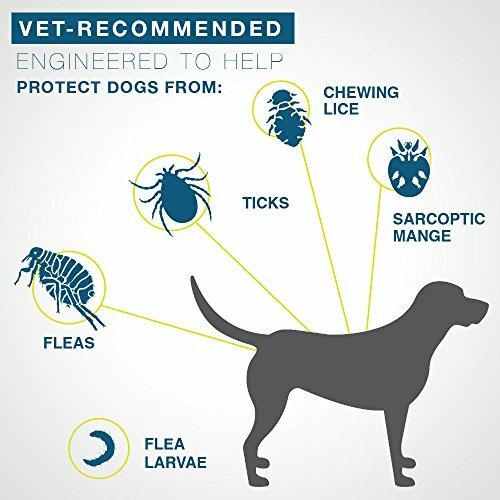 For dogs that swim once a month or more, the control duration is reduced to 5 months for flea control and reduced to 7 months for tick control.